While visiting with QCT in Taipei earlier this month, we were able to check out some of the company’s networking gear. 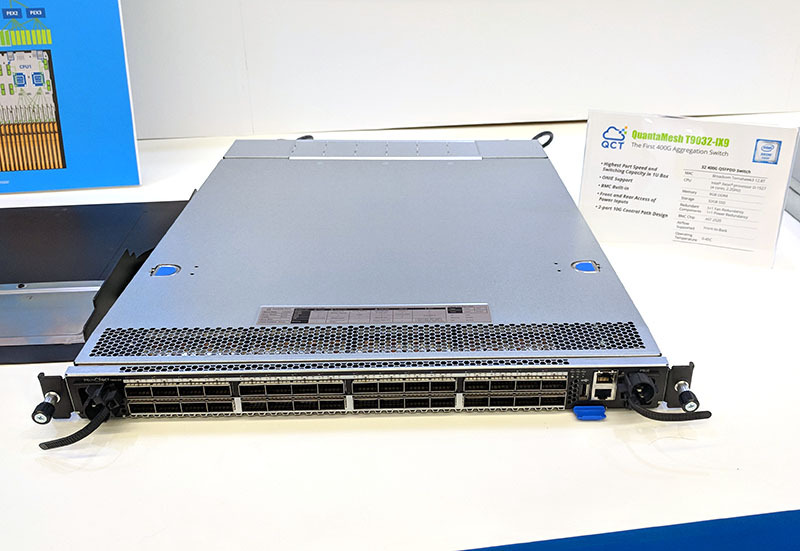 One switch caught our eye, the QCT QuantaMesh T9032-IX9 which is a 32-port 400GbE switch. It is not a secret in the industry that 25GbE/ 50GbE/ 100GbE networking is taking the data center by storm. Looking beyond 100GbE the 200GbE networks of tomorrow will become more commonplace as PCIe 4.0 is adopted. 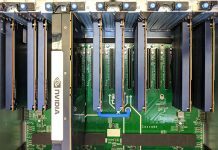 Following on the heels is PCIe 5.0 that can handle 400GbE in an x16 server slot. The QCT QuantaMesh T9032-IX9 is designed for next-generation networking. Looking at the switch, one can see that the QCT QuantaMesh T9032-IX9 is a standard 1U form factor. That is important as some early 40GbE and 100GbE switches were 2U designs with lower port density. The 32 front ports are set in four blocks of eight with out-of-band management via a dedicated Ethernet port and an ASPEED AST2520 BMC. Redundant power supplies and fans occupy the rear of the unit. Under the hood, there is a Broadcom Tomohawk 3 chipset powering the switch. 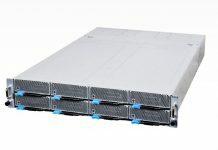 This is the high-end 12.8Tbps switching capacity part. Since the first companies that we expect to adopt 400GbE, once the optics catch up, are hyper-scale and telco customers, there is a management control plane serviced by an Intel Xeon D-1527 quad-core part. Having an embedded x86 part, like the Intel Xeon D-1527 with 8GB of RAM is important for software-defined networking in this segment. The Xeon D management plane has two 10GbE backhauls to the switch providing more performance than we saw in 1GbE enabled generations. In 2018, the move to 100GbE based networking will become commonplace. We are already putting new servers in the STH lab onto our 100GbE network instead of our legacy 40GbE network. You can read about two of our QCT 10/40GbE generation switches in our QCT QuantaMesh T3048-LY8 Review and QCT QuantaMesh T3048-LY9 Review. Current 100GbE switches will need higher-speed aggregation switches like the QCT QuantaMesh T9032-IX9 to keep data moving through the data center. Looking to the 400GbE generation, there are simply not many switches out there. QCT is targeting the next-generation networks at the largest providers with the QuantaMesh T9032-IX9. What’s the expected per-port price? Will it work with 4-way splitter cables ( 400Gb -> 4x100Gb )? Is it expected to only work with optical cables or coax will also be supported? Just what I need in my home rack. This is a 4K Blu-ray per second…ridiculous. What would the approximate price range for something like this be? Are we talking 5-figures? Ed Rota expect it to be well in the 5 figure range once released as a new networking technology.